I submitted my first piece of writing when I was seventeen, a story about my first job, working at the employee cafeteria at General Telephone where my mother was a dispatcher. Rolling the 20# white bond backed by a sheet of thin blue carbon paper into my Smith Corona, I typed it out slowly, carefully, on a piece of erasable paper—and mailed it off to Cosmopolitan along with a cover letter. Not just to any editor at Cosmo, by the way, I sent it directly to Helen Gurley Brown. The piece itself, meant to be comical, was full of clumsy attempts at self-effacing humor. I strived for a similar tone in the cover letter I addressed to Brown, completely clueless that the high powered editor in chief wasn’t the one reading unsolicited manuscripts. After I signed off I added the following PS. I could have said I was Joyce Carol Oates. What I thought that would accomplish I can’t imagine. That an unsatisfactory submission would get published because of a lame joke? 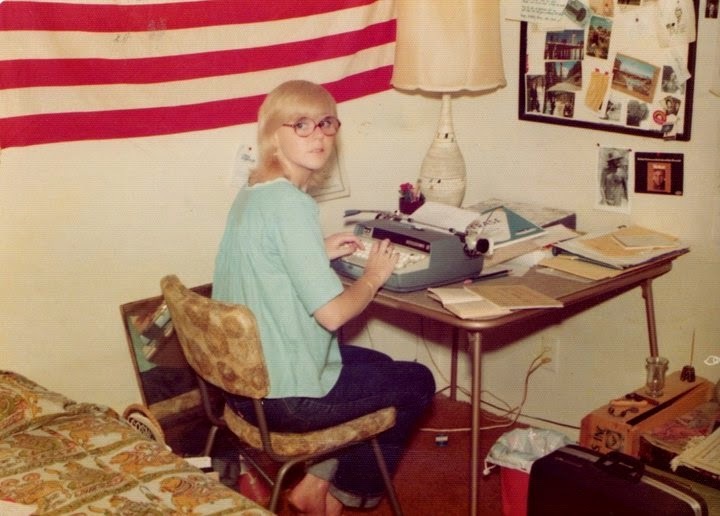 No surprise, in the SASE I’d enclosed—the way it was back then, no popping off a manuscript via the pushing of a key on your computer—I got a rejection slip by return mail. On it, someone—an editor or more likely an editorial assistant—had written a note: Why didn’t you say you were Joyce Carol Oates? The answer to that question was simple and both the editorial assistant and I knew it. I didn’t have the talent and the requisite depth of understanding to pass myself off as Joyce Carol Oates. I was mortified at the dig. That “No thanks, but ...’’ notion has kept me writing for most of my life. With just enough publication crumbs scattered along the way to keep me from slitting my wrists with the letter opener I used on all those returned self-addressed stamped envelopes with rejection slips tucked inside. Rejection slips which were often simply small preprinted, impersonal rejections but which sometimes, sometimes contained magic words hand-written in the margins. “This isn’t for us but we’d be interested in seeing more.’’ “Nice but not what we’re looking for right now.’’ Or simply “Try us again’’ from the New Yorker. That one really kept my fingers on the keys. I rewrote that long ago piece a couple of years back, I’m not at all sure I made it any better. Like a typo on the erasable bond paper we used to type on, the humor has been eradicated. Whatever you did to change this blog I can now get it with Firefox!!!!! Hooray!!!! That's great! Not sure what I did apart from tweaking the format—I got bored—but I'm glad you can get it. And especially that you actually want to! Much appreciated. All is right with the world again!